Then contact us at (951) 522-0518/ (951) 522-6308 or team4greer@gmail.com for a FREE consultation to find out if a Short Sale is right for you. This quick video tells about a short sale in the simplist of terms. Keep in mind however that some banks do not even require the 3 items this video suggests. Your Short Sale & Commission, Who Pays? However in the Short Sale transaction it becomes confusing to the average Seller. In fact we’re finding that the public in general does not have a clear understanding of what a short sale is, how it works, or let alone where the closing costs including commission comes from. It leads Sellers in financial distress to believe that they can’t afford a professional Realtor to sell their home because they don’t think they have a way to pay them. Wrong! The short sale simply IS that- the Seller doesn’t have the equity, means, money, savings, etc. to pay anyone fully in the sale of their home. Empty pockets! When we sign a listing agreement with you to sell your home and we know we are in a short sale situation- yes we do put in a commission rate but we also include a disclaimer that we understand that payment of the commission is contingent upon your bank coming to agreeable terms with you (Seller). This agreement includes them accepting less than what is owed on your mortgage(s) because you are upside down in your house including closing costs. In fact some Sellers just need help to cover the closing costs alone. $ -46,000 Negative Balance (Short Fall) This is what we will have to negotiate with your bank to absorb in the sale of your home. Obviously it is a little more complicated than that and everyone’s scenario is different. However the goal is always the same…to sell your home under mutually agreed upon terms by you and your bank. Some commonly refer to the short sale as the sale of the upside down house. And while that is a great analogy it may not make a lot of sense to someone outside of the mortgage and real estate business. So here is the definition in its simplest terms. When a homeowner (borrower) owes an amount on their property that when combined with closing costs and commission is higher than current market value. Obviously there is a great deal more to it than that…but that’s where it starts. If you are needing to move or are having financial difficulties that are getting in the way of your ability to pay your mortgage we can help you assess your situation from a professional viewpoint. Selling the home “short” or losing the home are not your only options! 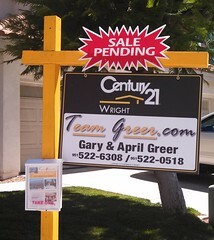 Call us at 951-522-0518 or email at april@teamgreer.com. We’re here to help. The prospect of foreclosure can be financially and emotionally devastating, and often homeowners proceed without guidance of any kind. The developers of the CDPE Designation believe that the best course of action for a homeowner in distress is to speak with a well-informed, licensed real estate professional (that’s us ). We have the tools needed to help homeowners find the best solution for their situation. Often, when other options have been exhausted, CDPEs can help homeowners avoid foreclosure through the efficient execution of a short sale. CDPEs don’t merely assist in selling properties, we serve and help save our clients in need. If you would like more information about what a short sale really is, please pick up the phone and call us at (951) 522-0518. Often I have conversations with Realtors, family and friends that involve questions about short sales or uneducated statements about short sales. Statements like “I wouldn’t buy a short sale because they take too long and then never go through” to “I avoid the short sale listings because they’re a waste of time”. For some the general consensus is that they aren’t selling and that is the furthest thing from the truth. Of course with a few keystrokes in the Realtor driven MRMLS I can get a very quick synopsis of the short sale market. 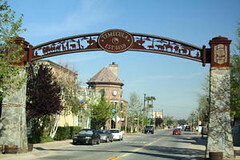 If you are wondering how the short sale market is shaping up in the City of Temecula, here are some numbers to wow you. Some quick math tells me that there are nearly 900 short sales that have successfully closed and/or are in process right now since the first of the year. That’s in sharp contrast to the 467 bank owned sales that are in process or have taken place in the same period of time. And believe it or not there are still folks out there with some equity…we’ve had 389 standard sales so far this year as well. If you have questions about the Temecula Real Estate Market please feel free to call April at (951) 522-0518 or Gary at (951) 522-6308. Information in this post was taken from the MRMLS and is deemed reliable but not guaranteed.